Austria is one of the most expensive places to buy groceries in the EU – according to new statistics on consumer prices.On average food in Austria will cost you a quarter more than the EU average and only Denmark is more expensive for grocery shopping, figures from Eurostat, the statistical office of the European Union showed. Price levels for food and non-alcoholic beverages in 2014 were 124 percent of the EU average in Austria. Denmark was even higher, with 139 percent. The price survey did not take into account the quality of the groceries sold. Poland was cheapest both for food and consumer electronics, while alcohol and tobacco as well as restaurants and hotels were the least expensive in Bulgaria. Prices for clothing were lowest in Hungary and most expensive in Sweden. The Czech Republic was the least expensive country for both consumer electronics and personal transport equipment such as cars. 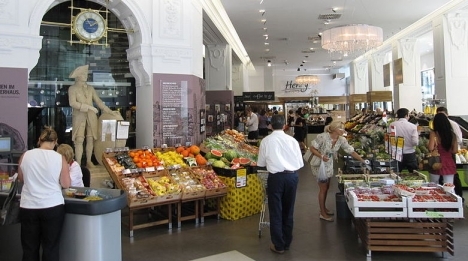 Overall, consumer price levels ranged from 48 percent of the EU average in Bulgaria to 138 percent in Denmark. Austria was in the top third of most expensive countries, with 107 percent. Sweden, Finland, Britain, Ireland, Luxembourg and France are all more expensive. Germany and Italy (102 percent) are both cheaper places to shop than Austria. The highest price differences overall were those for alcohol and tobacco, with the most expensive in Ireland (170 percent) and the cheapest in Bulgaria (58 percent). Eurostat said the price variations were mainly due to the way countries taxed these products.